Working in a harness on top of a dam hundreds of feet up… crouched in a corner of a storage tank… sparks flying… the work of a boilermaker takes strength, stamina, and the willingness to endure heights as well as confined spaces. Boilermakers install and repair boilers, closed vats, and other large vessels that are used to process and store chemicals, oil, beer, and hundreds of other products. Boilermakers also build and repair blast furnaces, water treatment plants, and pollution abatement equipment. Some install the huge pipes used in dams. Boilermakers follow blueprints to install boilers, and to test or repair them. They use flame-cutting torches and welding equipment, as well as other hand and machine tools. Their work is physically demanding and dangerous. They often work outdoors, sometimes in extreme heat and cold. They must wear hardhats, safety glasses, earplugs and other protective clothing… including respirators when working in enclosed spaces. Boilermakers work full time, but may work overtime to meet construction deadlines or to complete work during an equipment shutdown. They often travel to worksites… living away from home for extended periods. Seasonal unemployment is not unusual during summer and winter —off seasons for maintenance— or when construction projects have been completed. After completing high school, most boilermakers learn their trade through apprenticeships. 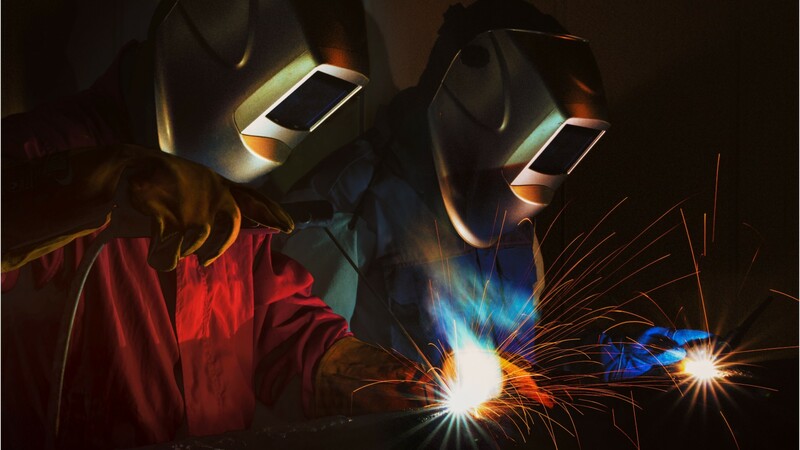 Welding experience is helpful to qualify for an apprenticeship. See more details at O*NET OnLine about boilermakers. Boilermakers by U.S. Department of Labor, Employment and Training Administration is licensed under a Creative Commons Attribution 4.0 International License.